Adorable grey koala bear with black accents. 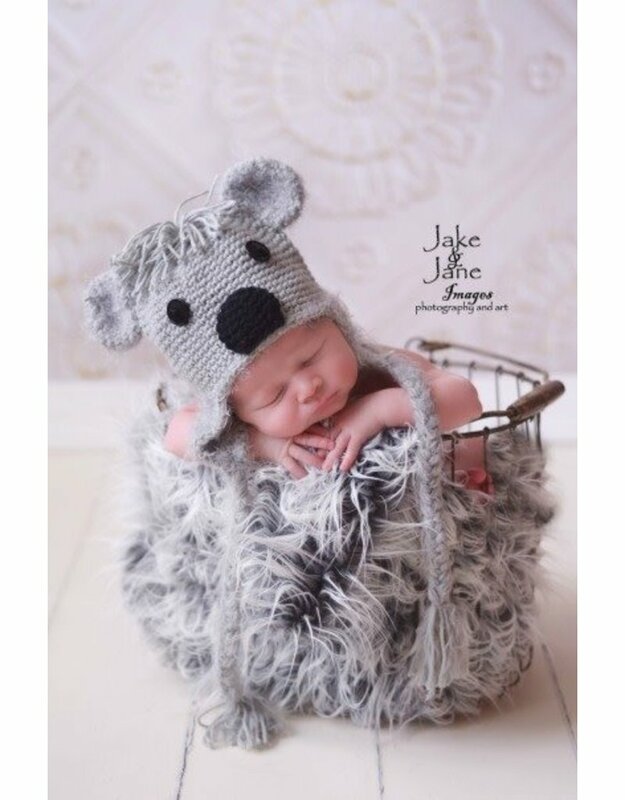 This li'l koala bear is trimmed in a grey specialty yarn that really makes this hat so soft and cuddly! Available in four sizes.